This diamond and pearl cluster ring puts a contemporary twist on a classic jewellery design. 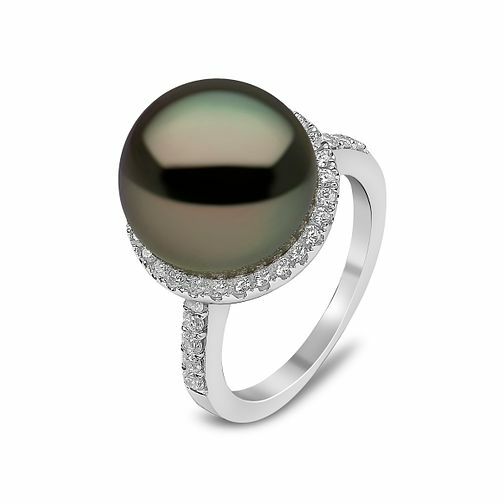 Featuring a natural colour 13mm cultured Tahitian pearl surrounded by nearly half a carat of brilliant cut diamonds, this ring looks elegant for any occasion. Inspired by the Ocean, each Yoko pearl is hand selected to be the exquisite centre of your jewellery.